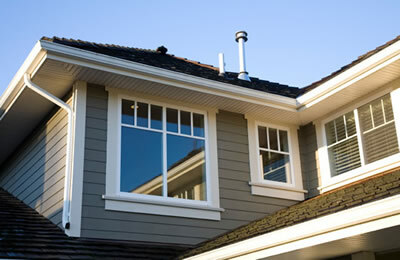 Rain gutters should be installed or mended properly by skilled rain gutter installation experts. Roof gutters that don’t grade the right direction, aren't in the correct location to capture rain water, or have deteriorating or corroded areas on them ultimately produce harm to the roofing materials, the building itself, or even the foundation. 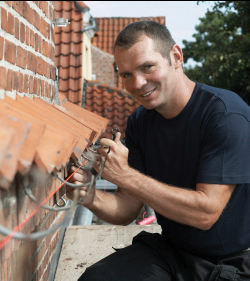 Gutters are a vital and essential feature for defending your home. During outbursts or normal rain, roof gutters work to remove the water away from your house and help you prevent high priced water damage. A suitably connected and maintained roof gutter system can save hundreds and even thousands of dollars in foundation, siding, fascia and roofing patching over the life expectancy of your roof gutters. Although you most likely don't think about it very much, there is in fact a huge variety of both roof gutter styles and materials available when it comes to picking what’s optimal for your home. Seamless, bonderized, copper, aluminium, steel...these are merely a few of the many varieties available. When you're thinking about which roof gutters to put up, keep care, quality and materials in mind. You'll need a kind and color that best fits the style of your residence, but also contemplate required care and the right materials for the job. Vinyl roof gutters are cheaper to start with, but they twist, fade and, overall, don't hold up to the elements as well as copper, aluminium or steel. Seamless aluminium and copper gutters have less warping, leakage and a greater size for water disbursement. Bonderized steel, though stronger and bears up to ladders and other equipment better than some other rain gutters, isn’t available in a seamless style and is still susceptible to rust. With our years of experience, Edgewater Rain Gutter can benefit you to choose which variety, color and style of gutters will not only add to the attractiveness of your home, but protect it for the long term as well. Contact Edgewater Rain Gutter before its too late and let us help you pick the roof gutter system that is right for you.